A serviced residence gives you what you’d expect from a hotel, and then some more. 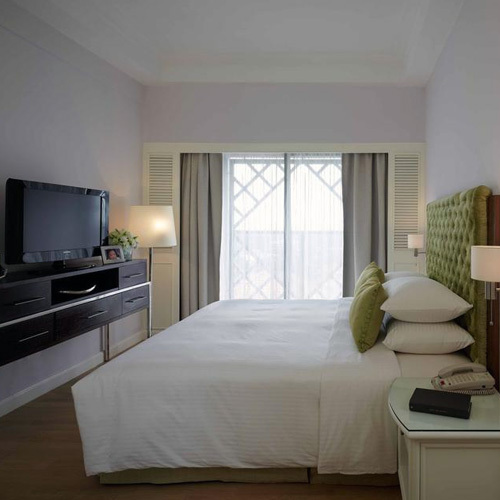 Setting the standards of serviced residences in Malaysia, Ambassador Row Hotel Suites by Lanson Place is located just ten minutes from the Petronas Twin Towers. What they offer are one to three bedroom suites in contemporary style with living rooms, dining areas, kitchens or kitchenettes, and separate bedrooms. The Duta Suites provide more perks than the Standard Suites, including complimentary access to the Duta Lounge which has all-day refreshments and snacks. Comfort is a given in the capacious abodes while outside, you’ll find amenities such as a large gym, an outdoor pool, a self-service laundromat, and a casual restaurant. 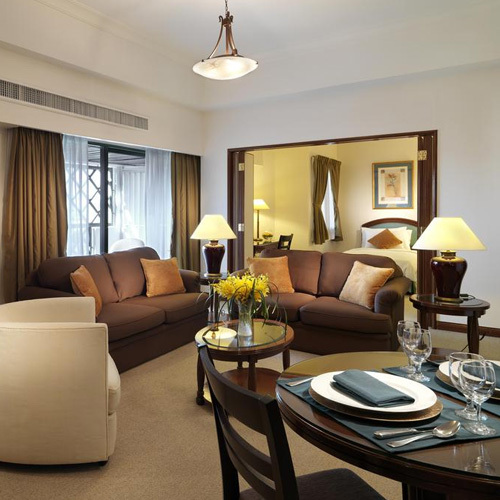 Whether for business or pleasure, you can feel right at home in Ambassador Row Hotel Suites. Dive into the details here.